The Establishing Shot: James Bond 050 of 50 things to do before seeing Skyfall - Watch the Royal Premiere of Skyfall live or streamed right here. James Bond 050 of 50 things to do before seeing Skyfall - Watch the Royal Premiere of Skyfall live or streamed right here. To honour the 50 anniversary of James Bond and the release of Sam Mendes’s rather good Skyfall in cinemas this Friday 26 October we have decided to create the ultimate James Bond guide to London showing you things to see and do before settling in to see Skyfall. Our review of Skyfall can be found here! 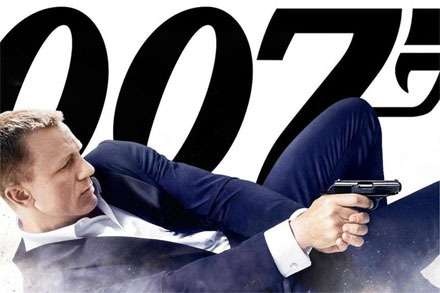 050 of 050 on The Establishing Shot’s ULTIMATE JAMES BOND GUIDE TO LONDON OR 50 PLACES TO VISIT BEFORE SEEING SKYFALL is seeing the stars of Skyfall up close and personal on the red carpet or watching the Skyfall Premiere streamed live straight onto your computer this evening from 5pm. To the add to the red carpet occasion Sony Pictures UK will be taking photos of the crowd at the Red Carpet then posting to the official Skyfall facebook page for everyone to tag themselves in. On Tuesday, October 23rd the eyes of the world will fall on the iconic Royal Albert Hall in London as the stars of SKYFALL light up an incredible red carpet at the Royal World Premiere of the 23rd James Bond film. His Royal Highness The Prince of Wales and The Duchess of Cornwall are to attend and at the request of The Prince of Wales the premiere will benefit the charities that support former and serving members of the three intelligence agencies (the Secret Intelligence Service, the Security Service and GCHQ). His Royal Highness is Royal Patron of the Intelligence Services. Christopher Lee, Sean Bean, Shirley Eaton, Caterina Murino, Colin Salmon, Samantha Bond, Goldie, Fiona Fullerton, Eunice Gayson, Tom Hollander, Paul Hollywood, Chris Evans, Sam Taylor-Johnson, Jeremy Clarkson, Holly Valance, Benedict Cumberbatch and many more! Watch the SKYFALL Royal Premiere streamed live right here! 50 - Watch the Skyfall Royal Premiere live stream right here. The Establishing Shot’s ULTIMATE JAMES BOND GUIDE TO LONDON OR 50 PLACES TO VISIT BEFORE SEEING SKYFALL - JAMES BOND 050 THINGS TO DO BEFORE SEEING SKYFALL - WATCH THE ROYAL PREMIERE OF SKYFALL LIVE OR STREAMED RIGHT HERE.